Step 1: The SDK asks the user for location permission as follows: "when in use" and "Cancel". Step 2: After the first step, the SDK asks for the location permission as follows: "When in use" and "Always". In this way, the total number of people who accept to be geolocated increases. Now with the "When in use" permission it is possible to locate beacons in the foreground. Improved location analytics with the "When in use" permission. If you want to learn more about this topic, please check out this post. 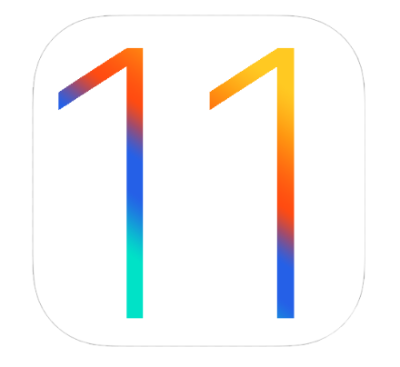 We strongly encourage you to upgrade the SDK to the latest version to guarantee the smoothest experience on iOS 11. To access developer documentation, please visit our Developer Portal. Your app users are spread across the world and speak different languages. Then why should they get notifications in the same language? It's time to embrace multi-language for push notifications. 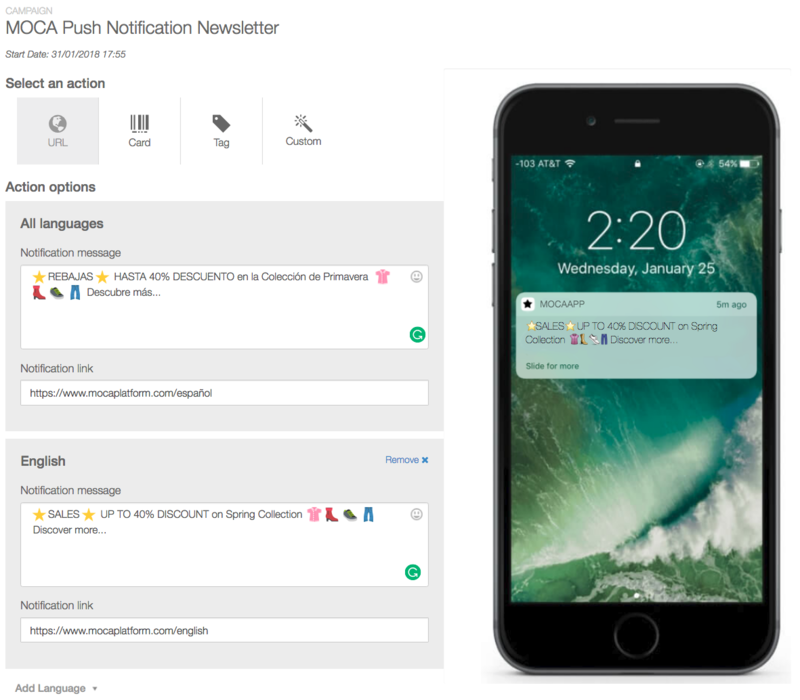 With MOCA Platform, now you can schedule push notification campaigns in different languages. No matter what language your audience speaks, you'll be able to send them relevant push notifications in their language. The message, and URL can be customized for each language. Please, see the example below. People may not care so much about a great deal on a party pizza combo on Monday. Campaigns should be based on times of the day, location and behavior, when people are likely to be engaged for what’s being offered. 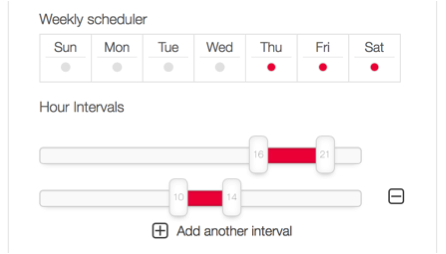 Now, with MOCA platform you’ll be able to schedule campaigns based on the days of the week when your audience is more likely to engage. 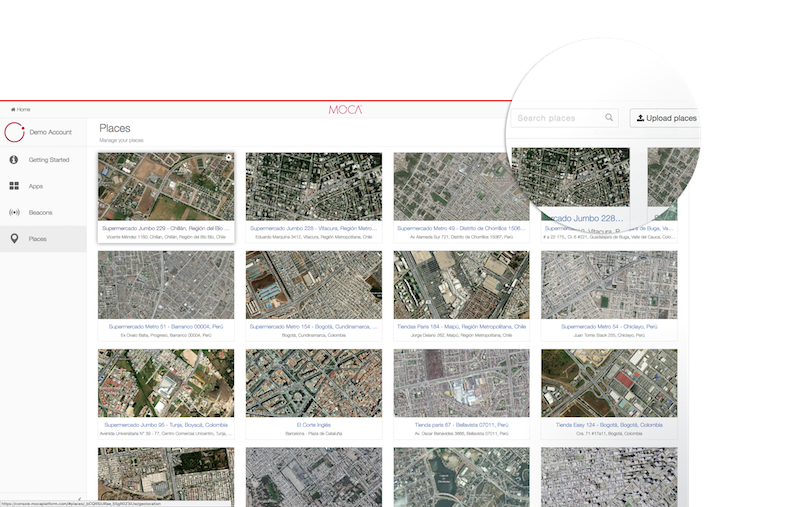 This feature requires MOCA SDK version iOS 2.1.8+ and Android 2+. To learn more about how to set up an effective campaign, please check out this post. Easy than ever, you will be able to manage your Beacons and Places on a big scale. 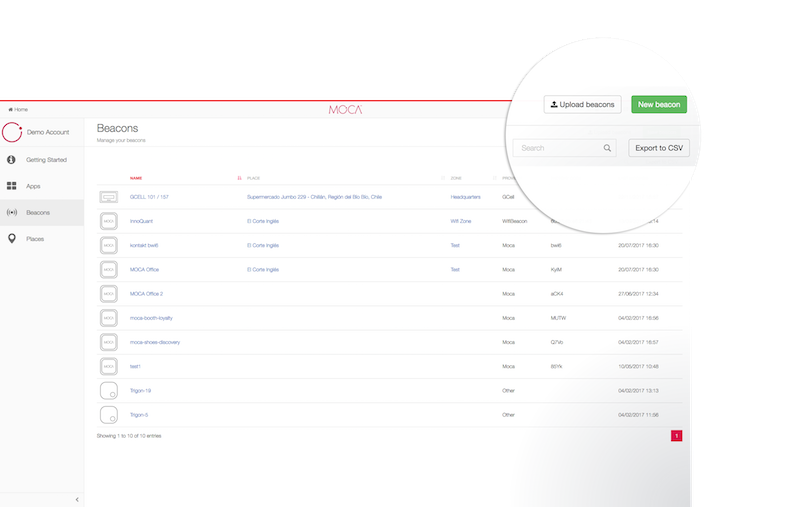 MOCA Platform enables developers and campaign managers to spend less time setting up large numbers of Beacons and Places and let them upload it to a list in a CSV format with just one click. We hope our new improvements make it much easier to setup and create campaigns on your dashboard. As always, we’d be glad to hear your feedback, so drop us a line anytime if you run into difficulty.